The Pape Family has been serving Vermilion County Illinois for almost 100 years. In 2013, Roby Pape, along with his mother Mitzi Pape, and long-time employee, Jennifer Kruger have stepped up to run the family funeral home. 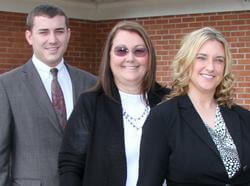 In 2018, Jennifer Kruger along with Michael A. Coan purchased the funeral home. Use the links above to see a little bit of the history of the 5 generations of funeral directors. The earliest funeral director in the family was actually Conrad Heppe, born on May 24, 1837 in Hessen Germany, Civil War veteran, baker, saloon operator, farmer who married Catherine Ringler in 1875 in Chatsworth, IL. They were the first in the family to open a funeral home and also operate a livery service, dry goods and boarding house until the early 1900’s in Chatsworth. This marriage was blessed with two sons and eight daughters including Edith Cora Heppe who married E. R. Pape Sr. on April 14, 1904. 1900 - 1940 - E. R. Pape Sr.
E. R. Pape Sr., with his parents Herman Leopold (Mary Schwer) Pape of Crescent City, IL, started the first Pape Funeral Home and a furniture business in Milford, IL in 1900. E. R. Pape Sr. married Edith Cora Heppe on April 14, 1904. E. R. Pape Sr. was the first in the family to attend and graduate from the newly opened Worsham Mortuary College in 1903. 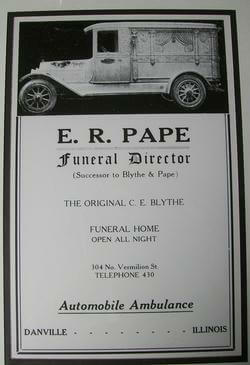 In 1909, E. R. Pape Sr. sold the business in Milford and opened a funeral home in Pontiac, IL. He also operated a horse drawn ambulance service for St. James Hospital of Pontiac. In 1916 E. R. Sr. and E. Cora moved to Danville. They rented the C. E. Blythe Funeral Home at 304 N. Vermilion which had been the office for Dr. Herbert E. Morehouse who died on December 19, 1912. They purchased the first motorized hearse and ambulance in 1920. In 1927 after a fire at the Vermilion Street property, E. R. Pape Sr. purchased the Col. John Calhoun home at 452 N. Hazel to become the new home for the family funeral business. E. R. Sr. and E. Cora had three daughters and a son, E. Robert Pape Jr. who married Helen Lange on June 28, 1939 in Lafayette, IN. 1940 - 1984 - E. R. Pape Jr.
E. R. Pape Jr. assumed leadership of the business, following the death of his father, E. R. Pape Sr. on July 18, 1940. E. Robert Jr. attended Purdue and graduated from Worsham College in 1941. He married Helen Lange on June 28, 1939 in Lafayette. They had a daughter, Patricia Ann and a son E. R. Pape III. They tore down the old building in 1967 and built the FIRST facility in Danville designed to be a funeral home. They operated a county wide ambulance service until 1972. E. R. "Bob" Pape III attended Northwestern University, and the University of Illinois before graduating from the Indiana College of Mortuary Science. In 1977, Bob purchased the Berhalter Funeral Home at 215 W. North in Danville and managed the home until 1995 when he donated the building to the Christian Home for Youth and later transferred ownership to the Illiana Genealogy Society. In 1984, Bob purchased the Pape Funeral Home from his father, and the two worked side by side until his father's declining health forced him to retire. In 1985, Bob added a cremation gardens/cemetery to the funeral home grounds, which remains in operations and growing today. In 1995, Bob added an in-house crematory to the business. Bob has four children, 2 daughters and 2 sons, including E. R. "Roby" Pape IV. 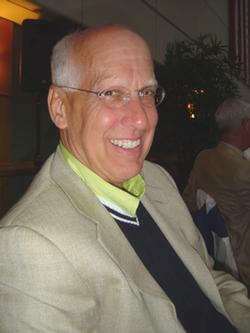 He was very active in Danville Rotary, being instrumental in securing an international grant. Bob enjoyed the ballet, the opera, and wine dinners at the Orlando Hyatt. Bob passed away suddenly in September of 2013, leaving a great legacy and momentous shoes to fill.